599fashion.com for stylish and affordable clothing! Looking for cheap clothes? There really is no better choice online than 599fashion.com. I mean, you really can’t beat the prices! Everything is $5.99 or less! I received a few samples to review and am quite impressed. 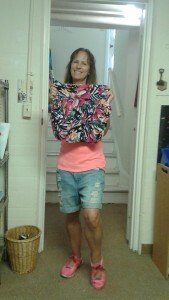 I received a pair of really bright & stylish printed Banded Waist pleated Front Shorts. I love them! They are comfortable and such a wild Summer type of print! I also received a really cool pair of Printed Jeans with button closure. 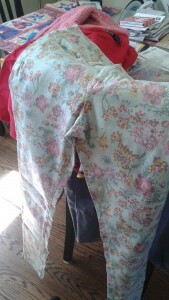 I love the flower print and that they are very comfortable to wear. I can’t believe that they are only $5.99! You can find them on their Apparel page under Bottoms. There you can find skirts, shorts and pants. I am sure you will find something you like! 599fashion.com also have really stylish tops for only $5.99 too! I received a Full Sleeves button down back slit shirt top and a Layered Neck Top with Ruffle sleeves. They are perfect for date nights! My favorite though is a really comfy Red Hooded Jacket, which is just perfect for cooler Summer evenings or for the upcoming Fall! I just love it! It really is my favorite new hoodie. So, if you are looking for cheap clothing that really also looks great, 599fashion.com is the place to look! They even have clothing for kids and we all know it’s almost back-to-school time so clothing shopping is a must-do!They also have some more fun products for kids. I know my 11 year-old son is just now into his clothing. There are some pretty cool back to school supplies like notebooks and lunch boxes too. And, you can’t forget about the men in your life! 599fashion.com also has items for men such as really cool shirts and hats! 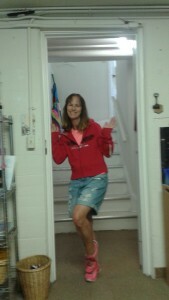 There really is something for everyone at 599fashion.com. Self Disclosure: I received free samples to post and complete this unbiased review. No other compensation was received and any opinions expressed are honest and my own. Hot and Spicy Food Day August 19th 5 reasons you shouldn’t skimp on the heat with Tandoor Chef! Heart Health:Studies show that cultures that eat the spiciest foods have much lower incidence of heart attack and stroke. It could be because chili peppers help to reduce the damaging effects of bad cholesterol while capsaicin helps to fight inflammation. Cancer Prevention:Some studies suggest that capsaicin has the ability to kill some cancer and leukemic cells. Another spice, turmeric, may slow the spread of cancer and growth of tumors. Lower Blood Pressure:Vitamins A and C strengthen the heart muscle walls, and spicy heat can increase blood flow throughout your body. Boost Your Mood:Spicy foods boost production of feel-good hormones, such as serotonin, easing depression and stress. Credit: Tandoor Chef. No compensation was received. I will be receiving a free sample to post.